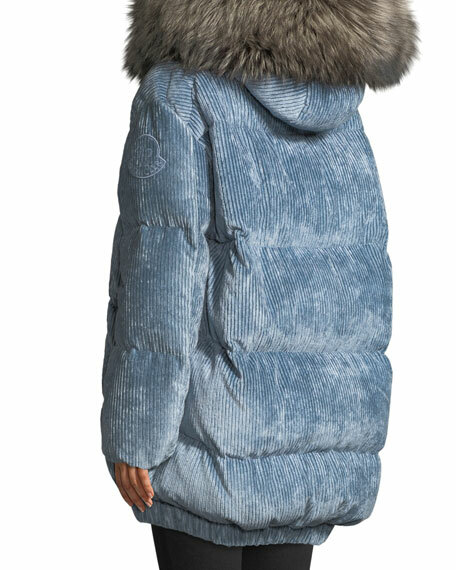 Moncler "Mergule" corduroy puffer coat with dyed fox (Finland) fur-trim hood. 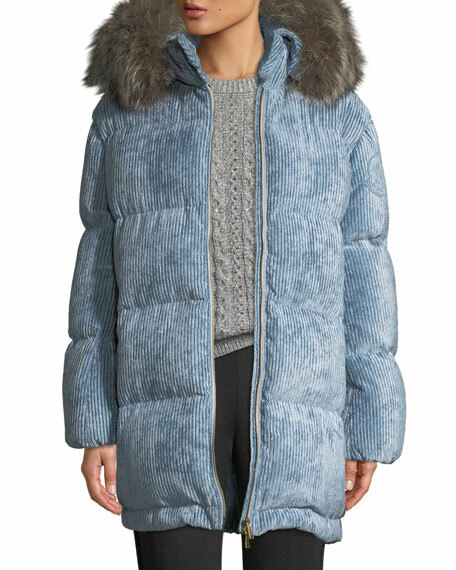 Hooded collar with fur trim; two-way zip front. 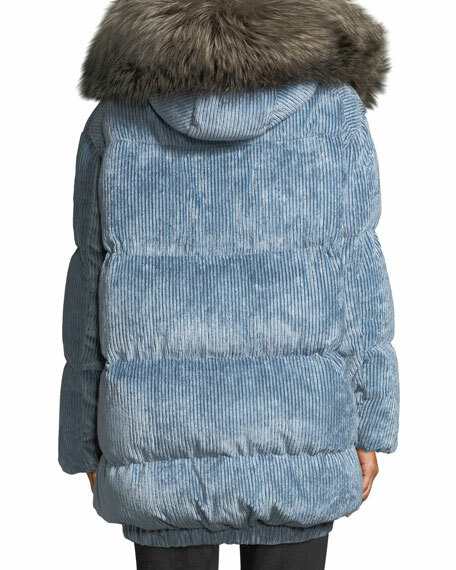 For in-store inquiries, use sku #2645441.